Car maintenance and repair icons. 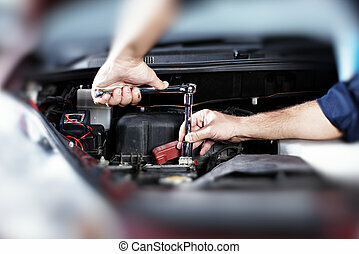 Car maintenance and repair icon set. 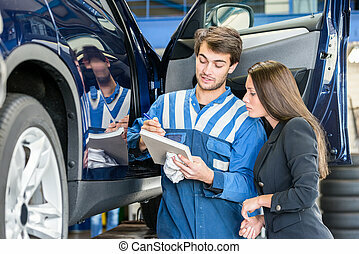 Car inspection in car repair shop. Mechanic. A set of car repair and services icons. 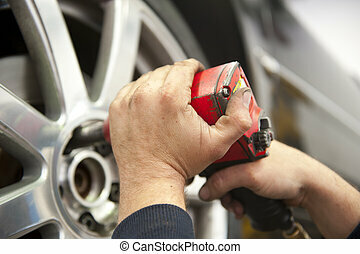 Set of vector signs with auto repair icons. 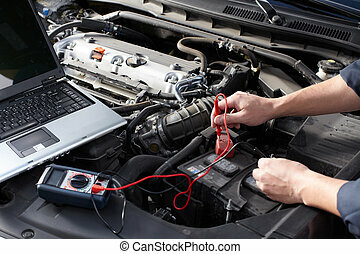 Auto and moto service. Gas station, tire and motor oil change, car wash. Engine inspection. Black and yellow. Collection flat icons. Car symbols. Vector illustration. 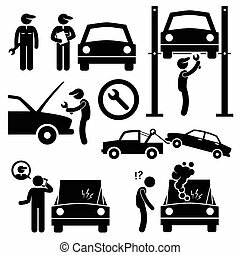 A set of human pictogram representing a mechanic fixing and servicing a car in his workshop. 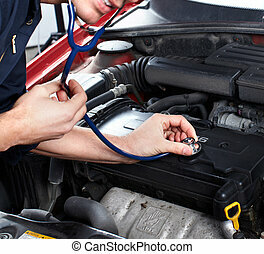 There is a also a customer where his car is breakdown and he is calling the mechanic for help. 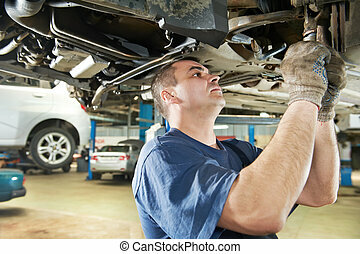 Detail image of car repair by mechanic in auto garage, with blurred background.